The Blog of Thog: How did you change over Christmas? How did you change over Christmas? Myself - I became a fan of Doctor Who. For someone who considers himself a geek, one thing I've never really been into was Doctor Who. I've watched the odd episode, certainly, but it's never been a show that I would plan to sit down and watch, just something that, if there was nothing else on, could kill an hour for me. And over Christmas, when I had some spare time to kill, there was a full afternoon of Doctor Who episodes on. I have come to the conclusion that Matt Smith is awesome. Apart from Doctor Who, I've been playing two games on my phone a lot - Clash of Clans from Supercell, and Hill Climb Racing from Fingersoft. 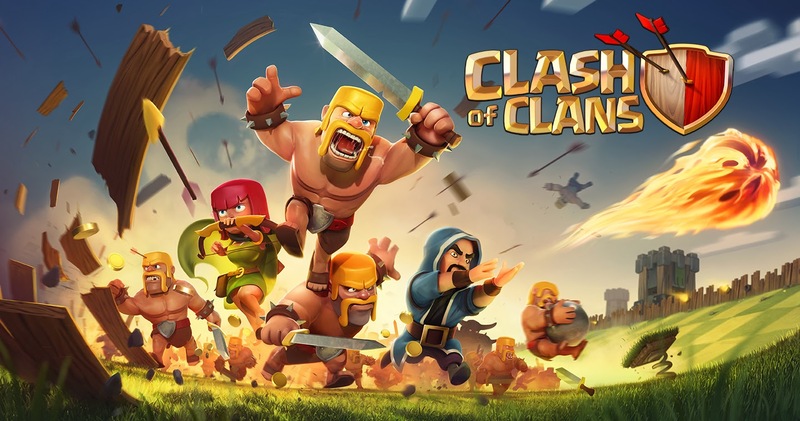 Clash of Clans is a strategy game where you build a town up, building gold mines, walls, resource stores, cannons and the like to defend yourself, whilst also recruiting fighters to go and loot other towns. As you get better at looting towns, and at defending your own town, you gain trophies, which make it more likely that you'll be attacked by better players - and that you'll get the chance to fight them back! It's a very engaging free to play game and well worth a try. One of the nice features of Clash of Clans is the "Revenge" button - after someone attacks your town, you can hit this button, and rather than the game automatically matching you with a town to attack, it gives you the chance to get your revenge upon them. I was attracted to Clash of Clans firstly by the advert which is very funny - watch it below! For a very simplistic game - you have two controls, an accelerator and a brake - it is very engaging and challenging. The landscapes are quite tough and you'll soon realise that putting your foot down is an unwise approach if you don't want to attempt balancing a car on your head (not recommended if you want to keep your neck in one piece). However, the temptation of additional coins by carrying out tricks, like jumping into the air and flipping your car over is often too enticing to resist. Again, I'd strongly recommend giving this one a try. Be warned though - you never get used to the noise of your neck breaking as a car crushes it - and this happens a lot!